It was nice to come across this t-shirt design by Mike Fretto with 100% of the proceeds going to Haiti - Partners in Health. Shirts are $15 and you can pick them up here, a small way to help. great shirt...i just ordered one. thanks for finding them.. I'm ordering a few. Love the design, & especially the cause. Good find. great thank you for posting. an inspiring shirt. i am ordering a bunch and also reposted this on my blog to spread the word. love the design! so great. Thanks for posting! I love the design and the message. I have already donated what I can to PIH and have reposted this on my blog to encourage others. This is such a great shirt -- thanks for sharing. 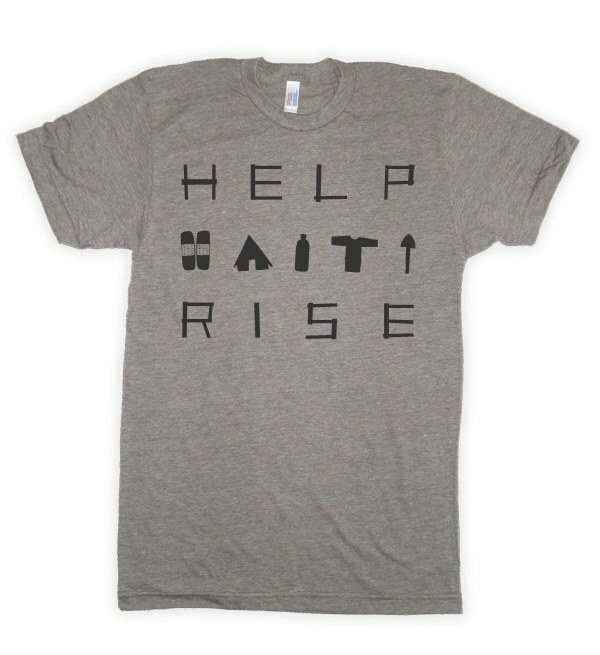 Help Haiti Rise! Loves it!